We are publishing free binaural beat sounds this week that will play in our White Noise apps. There are many claims that they can help with sleep, focus, and meditation. What are binaural beats? They are an auditory illusion perceived when two different tones of slightly different frequency are presented to each ear. The frequencies are very low and each one is tuned specifically for each ear which is why headphones are required. We’ll be publishing Alpha, Beta, Delta, Gamma, Mu, and Theta waves which all have slightly different properties. 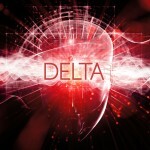 Do Delta waves help you sleep? Do Beta waves help you focus at work? Some say they do, but others think more research is needed. We think it’s best to make up your own decision, but you can be assured we engineered and looped them perfectly for the White Noise app. Try mixing them in with your favorite sounds, but always make sure to use headphones. You’ll also need the full or pro version of our White Noise app or you can stream our sounds from your favorite music store. We were unable to publish our sounds on iTunes because of their strange policy issue with binaural beats (the words can’t be used in the title), but we did publish them on every other digital store including Spotify, Google Play, Amazon, and more. You can download all our binaural beats from our White Noise Market. Enjoy! This entry was posted in White Noise and tagged 3D, Binaural, binaural beats, noise, white noise. Bookmark the permalink.